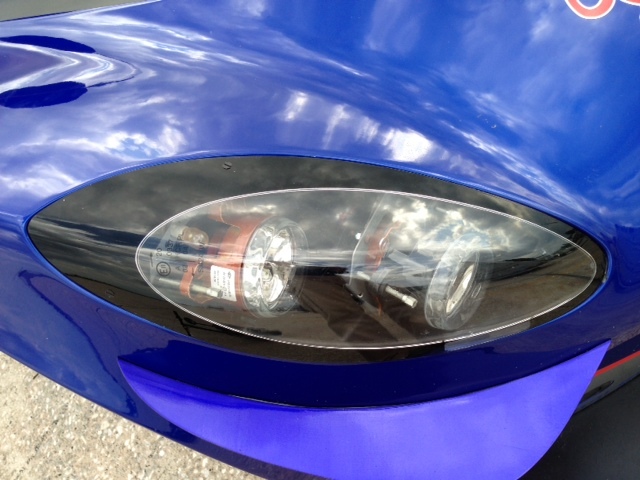 What did you do to your headlights? Wash them with a brick? I see that a lot on weathered Loti's. 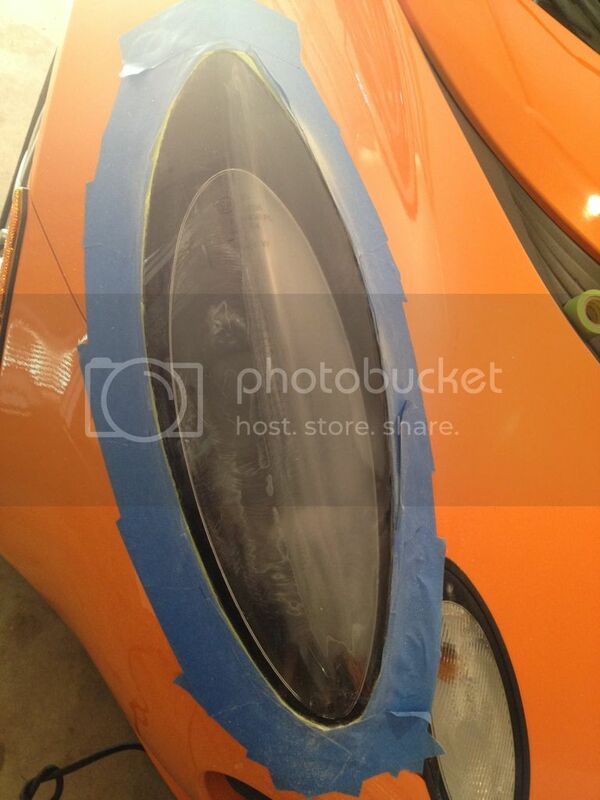 I think its caused by breaks in the original clear coat (Aforementioned UV coating) by rock chips. This makes weak spots that moisture, pressure washing, and overall wear and tear to eat it away. When sanding, be sure to remove ALL of this coating. Did you spray UV protectant after you were done? The first part was the hardest with mine. Sanding with the 500 grit. It took FOREVER to get that first layer all the way off. Even though I was slapping the sand paper every minute or so and even wiping it off with a paper towel like the 3m instructions said, they stopped working fairly often so I went through 4 of the 500 grit pads just on 1 headlight. But after getting to the 800, it was smooth sailing from there. Took me about 3 1/2 hours for one headlight which included a wash of the car to get all the polish and dust off of it. I will do the other light tomorrow probably after I get my sanding discs. Sounds right. You can also wetsand with 400 and a foam block by hand to get rid of most of the old coating. Can this be done to the turn signals as well (the gasket delete)? Or is the turn signal gap too large? No, well technically yes. The seal would work, however there is no need for it as the turn signals are sealed units anyway. Unfortunately the cutouts in the clam for the signals are not as close a fit to the signals as the headlights. Without the seal it only looks worse. Thanks, that's what I wanted to know. Too bad. So curious, has anyone else done this mod and care to share? I know there were a few others but I see no photos! 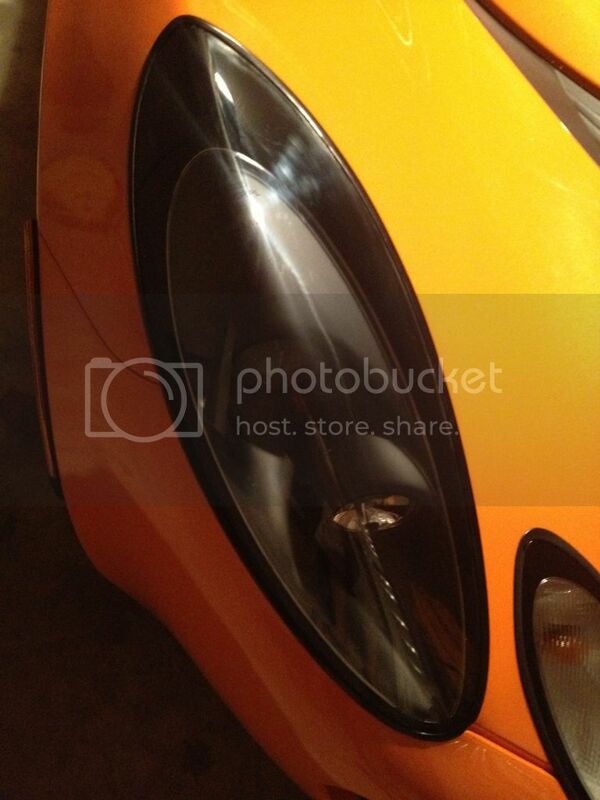 Granted, my bodyshop matched the body to the headlight rims, but the look is spectacular. 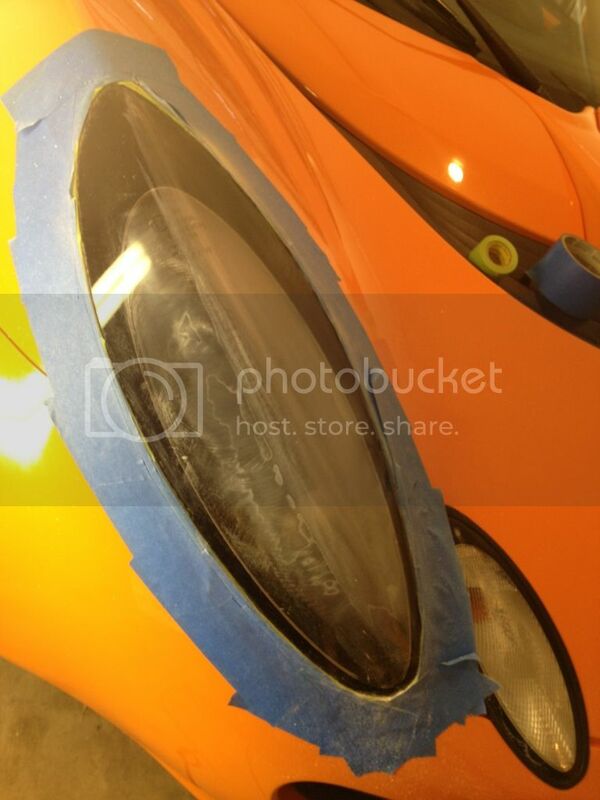 We also painted the headlight housing to match the body. Many thanks to the author of this thread!! Im cutting into my clam, maybe I should work on cleaning up my fitment as well! Yeah, that was an earlier photo. I now have all the front grills in. 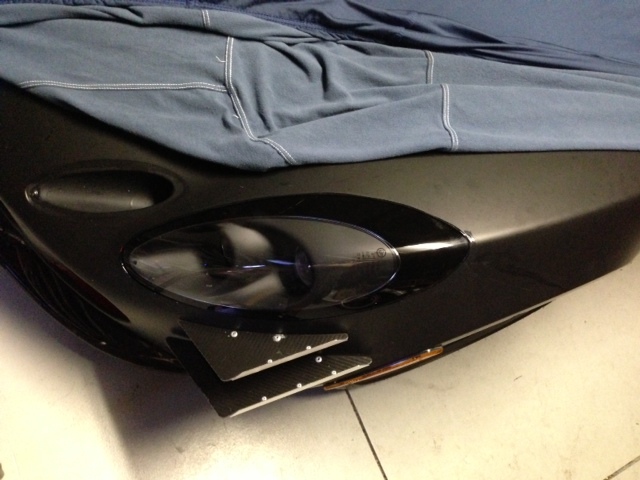 I also did the mesh side intakes from the 2011. 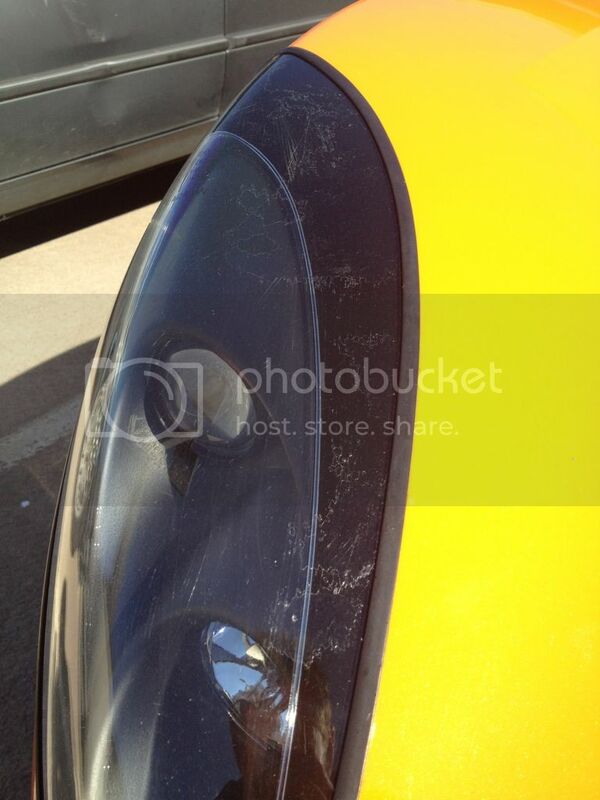 How did you seperate the clear part of the headlight assembly from the lower black part? Arent they glued together? How did you seperate them? As for separating the lens from the bezel, I used a Plastic paint scraper and X-acto knife. You can usually find a weak spot between the two to slip the scraper in between, then just start carefully working around. I use the Knife to cut any stubborn adhesive. Once the lenses and bezel are apart (Took me 30-45min per lens) then you can peel away most of the old adhesive by hand. Found this thread when I was facing the challenge of installing a new headlamp and new seal. The seal was an incredible pain. I took the OEM-seal delete approach and was very happy with the outcome. Saved $75 and didnt have to be institutionalized. The Chazz approach was very easy and looks really good too. '06 Exige, VFII Supercharger, CharlieX Tune, KAAZ CR Gear Set, Larini Exhaust, Custom Header, Nitron Doubles, ACT XT Clutch, Hypersport Roll Cage, CF Canards, Moroso Oil Pan, Cup Wheels, Slicks, AP Big Brakes x 4, RTD2brace, Front Brake Ducts, Sparco Steering Wheel w/ Quick Release, LETSLA, SSC Shifter Cables, DBWpedals, IMRP Monoballs, Machined Uprights, Recaro Seat, APR Wing, IMRP Rear Diffuser, Schroth 5-Point Harnesses, Prosport Gauges, Traqmate and some stickers.